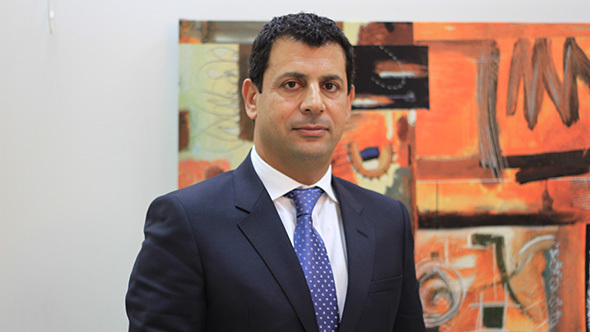 Today, we are talking with the CEO of The Net Holding, a Lebanese-based company that became one of the region’s top in servicing the shipping industry. Tell us a bit about the various core services that The Net Holding provides, including your major brands. We started in 1994 as an express courier company representing Skynet Worldwide Express, and have grown to represent today, multi-national networks of specialized express and logistics companies covering the entire supply chain across sectors and industries in all the Middle East. Today, our group counts over 13 companies rolled into a legal and statutory structure that provides us with the agility and authority to operate efficiently in all our markets and across our lines of business. We run two major divisions. Net Express mostly engages in the express sector. It represents Skynet Worldwide Express and TNT in Lebanon. Net Express also specializes in clinical trials and covers most of the local market share. Net Logistics services the sector of freight and logistics, with offices in Lebanon, Jordan, Iraq, Dubai and Turkey. The Net Holding also includes Net Manager, an IT company powering the Group’s IT infrastructure and moving into IT solutions development. The benefit of the Net Holding’s two-division structure is that our core offerings overlap and integrate to provide a full coverage of services. Additionally, having our own offices in the Levant, with a global network reach and expanding into other regions of the Middle East, provides us with an additional edge in servicing our clients who are also expanding their activities in the region. Today, Express and Logistics are the two main divisions we are focusing on and we will be expanding these divisions into the region. The last two years have been an economic challenge throughout the Levant. How has The Net Holdings met this challenge? When we first started our operations in Lebanon, our focus on the local market exposed us to the ups and downs of the economic and security situation in the country. 2006 was the turning point for the company. The war has triggered our efforts to expand on the regional level, beyond Lebanon , in order to reduce our dependence on the stability of the country. We have maintained our stronghold in Lebanon, as I would like to call it our lab in which we build our leaders and provide benchmarks to replicate in terms of procedures and IT systems. With our strategic know how groomed locally, our solutions - tried and tested and our exhaustive network, we are well positioned to continue our expansion and open new offices. Today, we have succeeded to expand our footprints beyond the Levant with 3 offices in major Turkish cities namely Istanbul, Mersin and Gemlik. Our decision to become a regional company with strong roots in Lebanon and branches spread out in various other countries, has shielded us from most of the turmoil of individual markets. What has been happening in the past two years hasn’t really affected us. What it did, is have us reconsider our strategy, not our objectives. We need to strengthen our position as a regional company, and we are seeking out new stable markets that will contribute to our regional development. This is where Turkey comes into the picture. The objective of The Net Holding is clear. We know where we want to be in 2019. 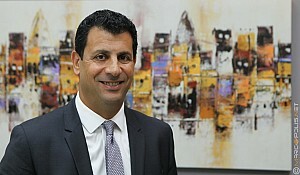 The company will further establish itself as a regional logistics and freight-forwarding player with a strong base in Lebanon, serving regional clients, and geared up for more growth. No matter any political or economic instability, we will always find a way to reach our objectives. We offer our clients world-class quality solutions in all aspects of Express, Logistics and Freight Forwarding. Our services range from shopping online for private consumers, all the way up to moving rigs for Oil and Gas companies. Our goal is to become the largest supply chain provider in the region by 2019. Tell us about the competition in the various sectors. 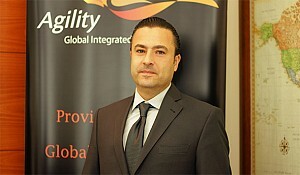 In the Express industry, we mostly compete with DHL and Aramex – two multinational companies operating in Lebanon. Competition is tight in a challenging market. Our focus is mainly on Service Excellence and Customer Experience whereas we have to beat the multinationals’ international standards with an added value of local customer experience that is hard for them to duplicate. This has been our competitive edge for years. We know that the moment an added value reaches the client it becomes obsolete and it’s time to add more value by developing better and newer approaches to service. This is part of our commitment to superior client relation and it has been our strategy and drive for years. TNT leverages on its strong international network to enforce its strategy of providing excellence in a complete range of transportation services. Skynet is geared towards flexibility. Our Express division is very dynamic and competitive due to the multinational players present in the country. It is pretty much a global game in the local market. At Net Logistics, our competitors are the same multinational players such as Expeditors and DHL in addition to the typically old and established local companies. As such, pricing strategy also plays an important role. The name of the game is very simple, ‘Excellence leads to growth’. If you do not excel, the client will not come to you. If you are the cheapest, the client will not seek to work with you. We need to have an excellent service and the right pricing strategy in order to grow and develop our business. Whether we are competing with the multinationals or with the local companies, our strategy is the same, the criteria we have set for ourselves is one of excellent service and competitive pricing. Our challenge in our freight and logistics business comes from our regional positioning whereas every country has its own set of difficulties, opportunities and priorities. For example, while the Jordanian market is mostly focused on price, Lebanon is geared towards additional value added services. The Lebanese client is very quality-oriented, keen to be technologically linked to online tracking and other online services, but is also very sensitive to price. What type of clients do you provide service to? The type of clients we serve in Express ranges from banks and industries, to private consumers. Because we have added the B2C online shopping services to our traditional B2B operations, a wide range of clients we deal with are now coming to us because we provide this extra contact and assurance that their goods will arrive on time and in good hands. We understand our market very well and are very close to all our customers providing each corporation or individual with custom made solutions. On the logistics and freight forwarding side of the business, we deal with two types of clients, local Lebanese and international clients. The international clients can also be divided into two categories. One consists of local companies that have expanded either regionally or into the international market. The second involves multinational companies based in Lebanon, or that have a decision-making office in Lebanon for the region. We have set up different strategies while dealing with different class of clients to better serve them. So for instance, online shoppers are very different from major multinationals that are specialized in Oil and Gas. In such big industries there are service and compliance standards that need to be met with respect to freight transport. We service a very wide spectrum of clients with very different needs, knowledge requirements and expertise. Is there anything you would like to tell us about your business plans going forward? 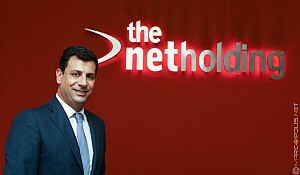 The Net Holding is a regional company and we are focusing on the Levant region. However, doing business in Iraq implies operational hubs outside of the country. All our major clients, big companies, and main investors have their business offices in Dubai. Having a presence in Dubai is essential. If we are not in Dubai, then we are just in the local market. Our office in Dubai is focused on developing business opportunities in the Iraqi Market, bringing solutions to clients in the Oil and Gas Sector and other businesses. Turkey is our new baby - it is a new market. The reason we went to Turkey is because it is becoming an important gateway to Iraq and Kurdistan. As a follow up to my previous question, can you tell us more about where do you see your business plans going forward in terms of the new outlets that just opened and other types of plans that your company might have? We talked about Turkey, and its role as a major economic player in the region. Our interest in Turkey is based on two factors. One is the fact that Turkey is a major gateway to Kurdistan where we have a lot of business. Mersin is increasingly becoming the gateway to all the goods coming into Kurdistan, be it for Oil and Gas or any related commercial business. The second reason and the most important one, is that Turkey has a population of nearly 80 million, double the size Lebanon, Jordan and Iraq combined - a big country with a lot of potential. Turkey is an export and import country with a booming economy and sustained periods of growth and despite a slight drop recently, still represents major opportunities. Being in Turkey will be another major turning point in the history of the Net Holding. We are much focused on the country, and are very keen to develop our business there. It will no doubt be one of our major successes in the near future. With all that is currently happening in the Middle East, with all the economic turmoil, the political struggles, and the security challenges we are facing, we see Turkey as a new opportunity to focus on and to develop. In 2019, The Net Holding will have a solid footprint over a very promising market. Peace and stability are bound to come, so are rebuilding projects. All we need to do is to be ready and present to embrace all these Oil and Gas, rebuilding, and regional trade opportunities. As a group, we are positioning ourselves in key markets to provide existing and new customers with excellence in delivering their expectations. Is there anything that you would like to add? What is the one sentence or word that you would like to leave our viewers with, that defines The Net Holding brand? The Net Holding is a young group with only 20 years in the business. We are a dynamic and an ambitious group. We are proof that the Lebanese people can and will always survive under any circumstance. Lebanon is going through a difficult phase, but is and will remain our stronghold and a solid base to push and inspire towards a more active role region-wide. From a business perspective, we offer to our clients, world-class quality solutions in all aspects of Express, Logistics and Freight Forwarding. Our services range from shopping online for private consumers, all the way up to moving rigs for Oil and Gas companies. Our goal is to become the largest supply chain provider in the region by 2019.